There's still time to wrap those last minute gifts. 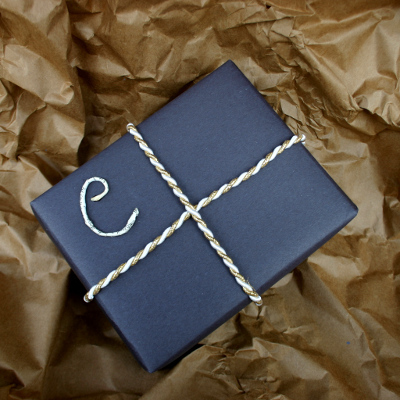 Personalize your gifts by adding monograms made from recycle paper and wire ties. 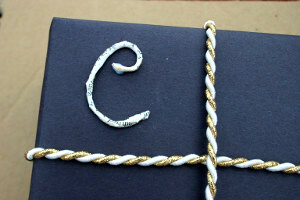 It is important that prior to starting the project, wrap your gift and leave a space for the monogram. This will help in planning the letter size and location. To create the letter, I recycled twisty tie from my kids toys as the core. (Yes, they opened their presents before Christmas!) You can also use any small wires. 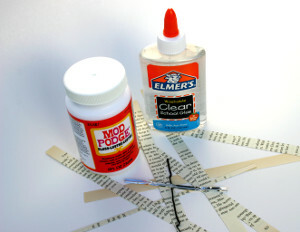 Other materials are recycled strips of paper from an old book (1/2 inch widths), Mod Podge®, and Elmer's® Clear glue. Wrap the strips of paper tightly around the wire, working at a angle and moving downwards. Continue until the end of the wire and trim off the paper. 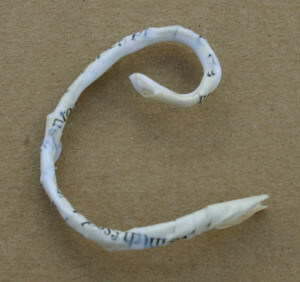 Apply Mod Podge® generously over the wrapped wire and shape into a desired letter. While the letter is still wet, affix onto gift box. The letter may still be white - this is fine as the Mod Podge® will dry clear. As the letter dries, it will adhere to the box but will still be slightly tacky. Using your fingers or toothpick, apply a coat of Elmer's® Clear glue. This will give the letter a shine and also take away the tackiness. 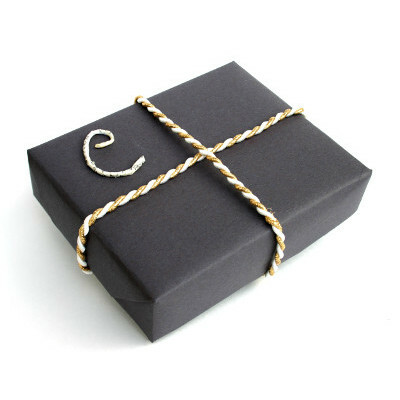 Allow the letter to dry and your gift is ready for giving!